The last thing you want to do is invest money into your exterior landscaping by planting a dwarf weeping Norway spruce and find out that cold temperatures destroyed it come spring. It’s worth taking the time to protect your trees and shrubs during the winter months. If time is a precious commodity, then contact professional landscape companies Anchorage AK area. Here’s a few winterization tips for the do-it-yourselfers out there. Protecting trees from frost can be as simple as making sure that they’re healthy. If a tree or a shrub has struggled to survive the general growing season, then they’ll be heading into the winter months in a vulnerable state. Keep trees and shrubs healthy by pruning at the right times. For instance, don’t prune plants after the middle of summer. Trimming stimulates delicate new growth while putting off dormancy. Along with this, you should stop fertilizing plants like your weeping bush with yellow flowers about six weeks before the year’s first frost. This winterization tip will help your plants harden off in a way that’s safe for them. Water your plants thoroughly during the fall months until the ground freezes, making sure that the water seeps about 12 inches to 18 inches into the ground. This is the root zone. While a mature dwarf weeping Norway spruce is likely to withstand the winter temperatures intact, consider insulating your younger trees and shrubs with a 3-inch to 4-inch layer of mulch after the ground freezes. This tip works to insulate the soil, helping it remain frozen and preventing heaving. Be sure to keep the mulch several inches away from tree trunks and the base of your shrubs to prevent rot and to dissuade rodents from chewing on them. Wrap your trees and shrubs up too. The winds in Alaska can be damaging to these plants. You can either put up a windbreak or wrap them with burlap or a shrub wrap. 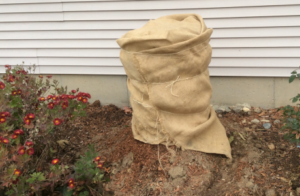 This will also protect your trees and shrubs from the harsh winter sun. Rodents like rabbits, deer and mice get hungry in the winter, and your weeping bush with yellow flowers may look like a tasty treat. Add additional protection by placing tree guards in front of them. When your area experiences a big snowfall and the branches of your trees are starting to bend under the weight, it’s a good idea to remove some of the snow, but be sure to remove it gently. If Anchorage winds up dealing with an ice storm, leave your trees alone. Attempting to remove ice will likely harm your trees more than it will help them. In Alaska, protecting trees from frost can be a challenging endeavor. 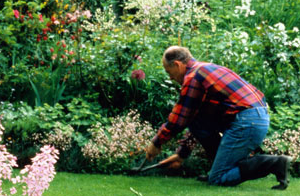 If you have any doubts about your green thumb, turn to landscape companies Anchorage AK. These experts will not only know how to keep your trees and shrubs around year after year, they’re also sure to have them looking their best when next spring and summer arrive. Autumn is a favorite season for many people because it means cooling temperatures and stunning colors as trees and other foliage change colors. But for homeowners in Anchorage, Alaska, autumn also means a lot of yard work to get ready for the cold winter months. One of the bigger jobs you’ll face, especially if you have a lot of trees on your property is leaf removal. Leaf removal in Anchorage, AK is generally not a fun task, but it is a necessary one. Grass growth starts to slow down as the temperatures get cooler. However, photosynthesis, the process where grass turns light into energy continues. This process becomes very important during the fall months because the grass needs this energy to survive the winter. This is a key to having a healthy lawn when the weather warms up in the spring and the grass starts growing again. What does all this have to do with leaf removal? If your yard is covered with a layer of leaves, the sunlight won’t get to the grass which will make photosynthesis almost impossible. Here are three leaf removal tips that will help you clear your lawn of leaves so you can keep your grass healthy. 1. Don’t wait for all the leaves to drop to start raking. Leaves can get heavy fast. Rake at regular intervals until all the leaves have fallen to avoid injury, nasty hand blisters, and burnout. 2. Get a leaf blower. 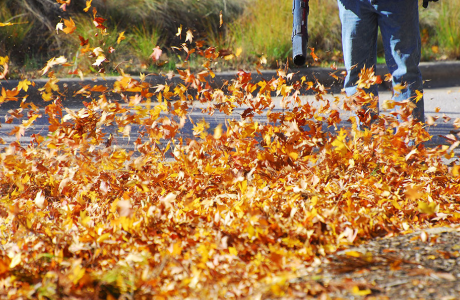 A good leaf blower can be a little pricey up front, but they’re worth every penny when it’s time to clear your lawn. Leaf blowers come in either electric or gas powered. Whatever one you choose, just make sure it has enough power to get the job done. 3. Consider mulching your leaves in the early weeks of autumn. Most people mow their lawns well into fall, meaning you can just mulch the leaves as you mow. This can actually be good for the grass because it puts more nutrients into the soil, acting like a fertilizer. The above leaf removal tips are just the basics. But if you’re looking for the easiest way to get rid of those leaves, consider hiring researching leaf removal companies that will do all the hard work for you. There are plenty of companies that specialize in leaf removal anchorage alaska to help you out. 1. How much do they cost? This is a big one and comes down to how much your time is worth. You’re paying them to do a job that you don’t want to do. Don’t go for the cheapest company, as they might not be reliable. Try to find a company that gives you a middle-of-the-road price. 2. Frequency. How often are they going to come to your house? If they come only at the end of autumn when you have two feet of leaves covering your grass, then you’re going to have problems. Depending on how many trees on your property will often dictate how often the company needs to come out. 3. Ask for references. It’s always a good idea to ask for references when you’re having people doing any kind of work on your property. Ask people if the company does a good job. Are they safe? Do they deliver what they promise? One of the biggest benefits of hiring a company for leaf removal anchorage alaska is they often will have equipment that can get the job done quickly and efficiently. And you’ll be happy to sit back and enjoy a clean yard without having to break a sweat. Before you consider any landscape design ideas in Anchorage, AK, you need to take a look at the entire area of your home or business. Primarily, you should take into consideration what is manageable for hardscaping. When it comes to hardscaping, there are numerous landscape ideas that are very appealing and can make all most any Alaskan home beautiful. In fact, according to Wikipedia, hardscaping is in reference to hard landscape materials used for structures that are integrated into a landscape. Some of these design ideas can include walkways, paved areas, retaining walls, stairs, patios, sleeper walls, fire pits and any other improvement that utilizes hard materials like stone, wood, concrete and so on. Some of the best design ideas include a focal point. The focal point is intended to capture your attention and make the eyes travel towards a destination that features a certain visual element. For instance, like a Japanese maple with a unique garden décor. For optimum results, a focal point should contain a hardscape to add more than one element and texture like a stunning brick wall or stone fire pit. More often than not an inexperienced landscaper will produce a disaster waiting to happen that does not look very appealing. For instance, placing a boulder just anywhere is not recommended, the large rock requires stability and an area big enough to hold it. Plopping a large boulder into the ground inappropriately looks unnatural. Moreover, landscape ideas need to be flowing with the elements that are added. For example, hardscape elements need to evolve graciously and blend into the rest of your landscape. Hardscapes are amazing elements that give your landscape its foundation for creativity. Keep in mind that you need to add the hardscape before you beautify your home with the softscape (flowers, shrubs and trees). Once you decide on the basic structures to add, you can begin planning the garden. For regions in Alaska you want to keep in mind that the growing season is short. In result, you need plants that do well in colder climates. It is also a good idea to reference the hardiness zones for areas in Alaska. Once you know the hardiness zone you live in, it will be easier to choose the right plants for your region. In addition, a professional landscaper in your area will know the hardiest plants for your landscape. Hardscapes are quite versatile and can be simple or complex. However, it is best that you select landscape design ideas that fit your individuality. For example, your style may include a romantic waterfall with cascading plants, a simple flower garden against a rock wall or a stone walkway lined with fragrant lavender. Once you decide on a style, selecting essential soft and hard elements are a breeze. If you need more landscape ideas, Country Living has some wonderful creative garden designs that integrate both softscapes and hardscapes beautifully. When adding a hardscape it is important that you consider any drainage requirements. As well, there can also be environmental requirements that need to be taken into consideration. If you are unsure of what environmental or drainage entail, it is best to contact a landscape design specialist so that your landscape is done properly. As well, ensuring that the landscape is done right the first time will save you time, money and unnecessary frustration. Rendering to the Movoto Foundation, sometimes simple is the best. In truth, the most impressive landscape is generally not super extravagant at all. In contrast, a beautiful landscape does require a bit of work and some planning. Besides, with a minimalist look you can always add to it later if desired. Evergreen trees are a great addition to landscaping. They offer color and cover year-round. Planting trees or shrubs of the evergreen variety is a little different than planting most varieties of trees. Anything bigger than a seedling is generally only available as a container-grown plant or balled and wrapped in burlap versus more normal bare root stock. This article will help you with selecting the best trees, how to plant trees, and how to deal with soil that is clay. 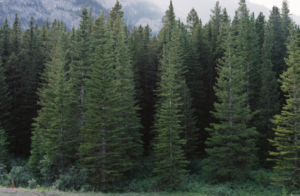 Call Faltz Landscaping to learn more about evergreen trees in Anchorage, Alaska. When selecting the best trees, it is important to first decide on the purpose for your evergreen trees. Different types of evergreens reach different mature sizes and can crowd other plants or areas such as sidewalks if they are not carefully planned. Decide what site you want to plant you plan on planting trees in, and then determine how large a tree will fit in that area. When going to a nursery to look at possible evergreen trees, look over the tree you like and make sure that there is no browning, yellowing, or graying of the foliage. Off-color foliage can indicate that the tree is in distress or is diseased. Look at the trunk of the tree and see if it has been damaged or if you see sap oozing. Look over the tree and ensure it has a good branch structure and that there is one central leader. Also, avoid purchasing trees that have been sheared. They can take years to regain their appropriate shape if you do not keep up on shearing. Now it is time to talk about how to plant trees of the evergreen variety. The time to plant evergreen trees is while the soil will be warm long enough for the tree to establish itself. Spring and summer is the ideal time to plant evergreen trees, but you can still plant in early fall. Evergreen trees that are planted too late in the fall can suffer from dehydration, causing the foliage to brown. Dig a hole twice the size of the root system, and then fill it with water. Put the tree in and add dirt back in. Another aspect of growing trees is the soil. Clay soil is not a good environment for growing trees such as evergreens. To improve your clay soil, adding organic material and fertilizer can create an environment that will be good for evergreen trees. Organic soil amendments such as leaf mold and well-rotted manure are both excellent additions to amend clay soil. Place the three to four inches of your chosen organic soil amendment on top of the clay soil, and then work it into the clay soil about four to six inches down. Several treatments such as this, in addition to using fertilizer, can turn your clay soil area into an area perfect for your evergreen trees to be planted. The professional team at Faltz Nursery has a strong belief that every tree and shrub sold is one of the best available in Alaska. Trees and shrubs can transform the average lawn if positioned in the correct place and accompanied with complimentary things like flowers and small perennials. 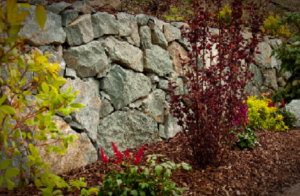 Faltz is the best landscape company in Anchorage, Alaska. Faltz Landscaping and Nursery has been the premier option for residents of Alaska and here are some of our recommendations for the trees and shrubs with the best look and feel. Evergreen shrubs delight gardeners with their unusual textures and year round color. 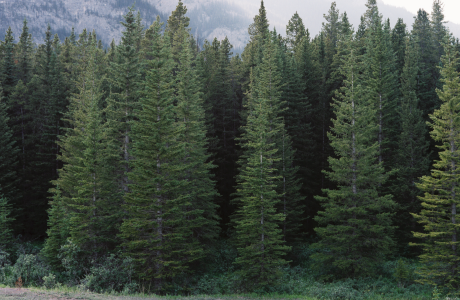 Named for its ‘nest’ appearance, the Birds Nest spruce grows slowly into a mound with a dip in the center. In the spring, it’s bright green needles are an attractive addition to any yard. This low growing variety of Norway Spruce is revered for its weeping, and creeping habit. If left unstaked, this evergreen will fall gracefully to the ground and spread outward like a mat. This deciduous shrub is a showstopper in the fall garden, it’s one of the first to change and turns a beautiful orange-red. It grows between 10 to 15 feet tall, has an 8 to 10 foot spread and does best in full sun to partial shade. Don’t be deterred by its mature height, this hardy shrub can be kept small with proper pruning. This unusual shrub is indeed a member of the pea family and in mid-spring has showy yellow flowers on pendulous branches. The flowers are followed by yellow pods that hold late into the season. The weeping pea shrub is an excellent center-piece for the garden and, once established, can stand some drought and even a bit of neglect. For something completely different when it comes to landscaping design, consider the weeping Norway spruce. Its weeping habit and bright needles make it the focal point of any garden. It does best in hardiness zones 2 to 8 in full sun or part shade. Another noteworthy weeping tree is its cousin, the weeping blue spruce. This beautiful tree, which can grow to 40 feet tall and 30 feet wide, is grown for the texture of its bark, which does resemble cork, its pyramidal habit and its compact, blue-green needles. Grow in full sun to partial shade in hardiness zones 4 to 7. These showy trees are a beacon of spring here in Alaska. This versatile tree comes in all shapes, sizes and colors. With bright blossoms followed by small crabapples, you can’t go wrong with one of these in your yard. This beautiful tree is a staple in our northern environment. With its bright white bark, the Paper birch makes a fantastic addition to the yard. This tree grows as tall as 75 feet in full sun to partial shade. Be sure to check out the Weeping White Birch or Multi Stem Birch for a unique take on one of Alaska’s favorite trees. If you would like to learn more about trees and shrubs and what the Faltz Landscaping team has give us a call or visit us today. Imagine coming home from a hard day at work and being welcomed into your own backyard sanctuary of relaxation. The sights, sounds, and smells of nature gently calm your nerves, soothe your weary bones, and restore your peace of mind. Feasible Design Your landscaping design team will assess your property and help you decide what materials and features work best for you, your property, and your budget. They should be aware of any restrictions, laws, or required permits regarding your project. Prepping the Land Achieving the perfect yard may require digging, trenching, and moving the earth around. Consideration must be given for usage, traffic, weather patterns, drainage, and the type of plants desired. A landscaping team can bring in the big equipment and have your property beautifully sculpted in a matter of days. All That Hard Work Setting brick or stone, building walls and benches, installing piping systems for sprinklers and water features, installing lighting systems, preparing planting beds, and planting dozens of flowers or trees is time consuming and back breaking! Leaving it to the pros leaves you free to move forward with the finer details of personalizing your outdoor lifestyle. Instant Beauty More than just lawn care providers, professional landscaping services offer a full range of water features, fire features, seating, shading, and lighting, as well as plants and trees that will thrive in your specific climate. They can offer a mix of annual flowers for instant color and perennial plants that will provide color, interest, or food for years to come. Lasting Results Proper planning, construction, and planting will create an environment that endures. You will notice immediate aesthetic improvement, but the real reward will blossom with time. It equates to money well spent, from a personal standpoint or for resale value. Letting a professional landscaping design service handle the dirty work gives you the freedom and opportunity to fine tune the details of outdoor living that reflect your personality. 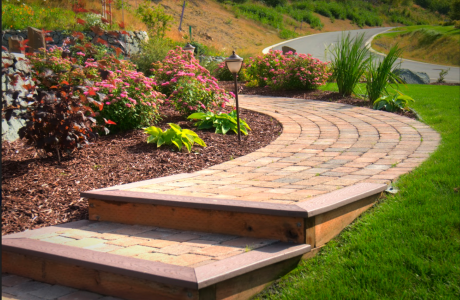 From concept to completion, Faltz Landscaping provides an amazing array of options to enhance your outdoor experience. You can choose how involved you want to be in the planting, care, and maintenance of your surroundings. Their knowledgeable and dedicated team will take care of the rest. 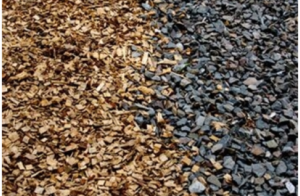 Rock mulch or bark mulch? Which is best for you? When doing any type of landscaping design, it is important to consider the materials you will be using. There are two materials that are commonly misused, which are landscaping rocks and landscaping mulch. Understanding the differences between these two materials will greatly improve the quality of the landscape. 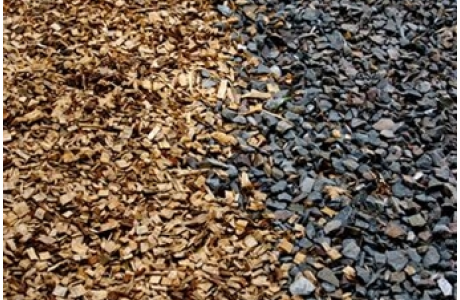 Bark mulch is often used by landscaping services because it is very cost effective. Bark mulch is also lightweight and easy to apply. It is commonly used as a weed barrier around homes and within gardens as well. It repels weeds and also holds moisture so you don’t have to water plants as often. Additionally, it is commonly used in gardens because it breaks down in soil rather quickly. As the bark mulch breaks down, it will also add organic matter to the soil. There are several reasons why bark mulch may not be the most ideal for a particular landscaping design. The first reason is that it decomposes rather quickly, and although the decomposing material adds nutrients to the soil, it needs to be replaced every few years. Another reason that it isn’t always chosen for a particular design, is because the bark fades after exposure to sunlight, and the newly added bark mulch may be a different color. Last, being lightweight causes the bark mulch to blow away, and can get washed away during heavy downpours. Landscaping services use rock mulch as a long-term type of landscape. Since it is heavier and doesn’t decompose as quick as bark mulch, it will last longer in the area that it is placed. 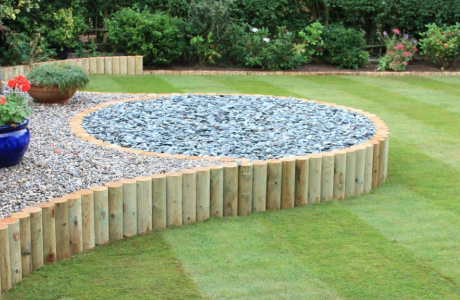 Rock mulch is generally more expensive, depending on the size and type of rock. The size can range from rocks that are pea-sized, all the way up to golf ball sized. It is also used because there are many different colors of rock mulch. The variety of colors allows the landscaping design to have more options. On the other hand, rock mulch is not ideal for certain types of landscapes as well. In areas where there is a lot of trees that will shed their leaves, it is not ideal. The leaves will cover the rocks and they will be difficult to remove. Next, if a weed barrier isn’t installed underneath the layer of rock mulch, weeds can quite easily grow. Last, rock mulch is difficult to move and rearrange once installed. This can make rearranging plants within a landscape pretty difficult. Overall, landscaping rocks and landscaping mulch both have situations in which they are better for use. Consider your budget, location, surrounding environment, and types of plants within your landscape before deciding which to use. This plant is also called the yarrow and produces gorgeous flowers in colors of white,pink, yellow, orange and red in the summer. It also has beautiful, fern-like foliage. Achillea is a perennial that can grow from one to three feet tall and is excellent for a place where the soil is average to poor but well-drained. Common Yarrow (Achillea millefolium) can be seen along our highways and roads as it is frequently used for erosion control. Even better, this tough plant thrives in full shade to full sun and can tolerate more than a little neglect. The serviceberry is a large shrub or a tree that can grow from 15 to 40 feet high. It is an excellent landscape plant because it provides beauty in all seasons. It has a beautiful bark that stands out in the winter and produces masses of white flowers in the spring. When it comes to landscaping color, leaves start as purple-gray, deepen to dark green in the summer and change to yellow and red in the fall. The fruit, which also appears in the fall, is blueberry-like and attracts birds. Serviceberry prefers well-drained, acidic soil and is good for a woodland garden. This perennial plant is a fantastic addition to any garden. From April to August this hardy plant produces many blooms. A variety of colors are available; red, orange, pink, purple, and blue and the dark green foliage makes the bright blooms really pop. Columbine prefers moist, well drained soil and full sun to partial shade. Be sure to check out the dwarf varieties! This colorful shrub is a favorite of gardeners and can grow well in climates that are far colder than Anchorage’s. Like serviceberries, these landscaping plants provide interest all year with their bright red bark, fall foliage, flowers and fruit. Dogwoods like moist, well-drained acidic soil and do well in full sun to partial shade, they have endless uses in the garden. From hedges and foundation plantings to a stand alone shrub, this versatile plant is a cold climate staple. There are so many varieties of this durable flower that it can be hard to choose which one is best for the garden. That is where landscaping services are handy. The blooms, borne on structures called scapes instead of stems, range in color from lemon yellow to maroon red to carmine to orange to melon pink. It is true that the flowers only last a day, but there are so many of them that the gardener won’t notice. The landscaping color provided by daylilies is complemented by the long, grass-like leaves. Daylilies do well in full sun to partial shade and soil that’s moist and well-drained. All your landscaping needs are near you. Faltz Landscaping offers the best landscaping services and nursery in the area.